The Tennessee Department of Safety (DOS) requires all new drivers younger than 18 years old to fulfill each requirement of its graduated driver licensing (GDL) program. Continue reading to learn more about TN learner's permits and each stage of the process. NOTE: If you are at least 16 years old and have held your out-of-state learner's permit for at least 180 days, you may apply for an intermediate restricted driver's license. See “TN Intermediate Restricted License" below for more information. If you're a new TN resident with a valid out-of-state learner's permit, you must meet all of the GDL requirements to obtain a TN learner's permit or driver's license. The Tennessee DOS requires you to make the switch within 30 days of moving to Tennessee. Surrender your valid out-of-state permit. Show documents to prove your identity/citizenship/residency. Show proof of school attendance (Form SF-1010) from your previous school. This form is only valid for 30 days. If you already graduated, present your GED or high school diploma. Have a parent or guardian sign a Minor/Teenage Affidavit and Cancellation (Form SF-0259), if you are younger than 18 years old. See “ Learner's Permit Restrictions" below for details about driving restrictions. The first step of the GDL process is getting your class PD learner's permit in Tennessee. You must be at least 15 years old to apply. Submit a completed Minor/Teenage Affidavit and Cancellation (Form SF-0259). This form also requires you and your parent or guardian to acknowledge that you understand Tennessee's financial responsibility laws. Show proof of your school attendance (Form SF-1010) from your school. Show 2 documents to prove TN residency. Provide proof of U.S. citizenship or lawful permanent residency. Show your Social Security number OR a completed Social Security Number Affidavit (Form SF-1324), if you do not have one. Pay the $10.50 learner's permit fee. If you fail the knowledge test you must wait 7 days to retake it. Drugs and alcohol and its effects on driving ability. 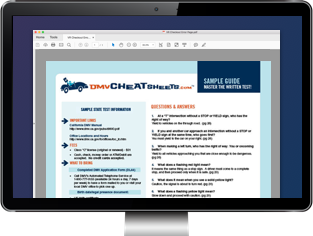 To prepare for your TN knowledge test, you should read the Tennessee Driver Manual and the DOS also offers a standard practice test. Our suggestion is to prepare for the exam with an online practice test from our state-approved online practice test. Have a licensed driver who is at least 21 years old accompany you. NOT drive between the hours of 10 p.m. and 6 a.m.
You are not permitted to drive if you are not supervised. With a TN learner's permit, you can begin your supervised behind-the-wheel training. The Tennessee DOS requires you to complete 50 hours of driving practice, including 10 hours of at night. Once you fulfill the behind-the-wheel requirement and have held your learner's permit for 180 days, you're eligible to apply for your intermediate restricted license. Have completed 50 hours of supervised driving practice (including at least 10 hours at night). NOT have more than 6 points on your TN driving record. For details, visit our page on Applying for a New License (Teen Drivers). You held your out-of-state permit for at least 180 days. You have had NO traffic violations or accidents.